Publications & Conferences – Kris Erickson, Ph.D.
Below are a list of publications, invited / featured speaker talks, conference presentations, and campus talks. In some instances, my work was published under my former last name, “Scott.” I specify which name each publication was published under below. 2016: Scott, Kristin. 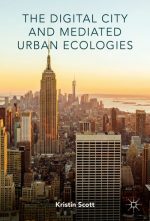 The Digital City and Mediated Urban Ecologies (Palgrave Macmillan). 2019 (accepted / in press): Erickson, Kristin. “Marginalized Geographies and Spatial Identities”in L.P. Rajendran & N.D. Odelye, eds. Emerging Identities in the Futures of Place: Media, Space and Culture (Springer). 2018 (in press): Erickson, Kristin.“The promises and pitfalls of cyber urbanism: governance and participation” in Zlatan Krajina & Deborah Stevenson, eds. The Routledge Companion to Urban Media and Communication (Routledge). 2016: Scott, Kristin. 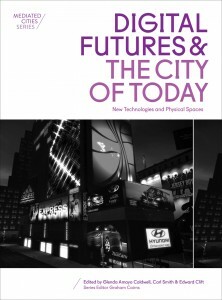 “Digital Urban Health & Security: NYC’s Got An App For That,” in Edward Clift, Carol Smith, and Glenda Amayo Caldwell, eds., Digital Futures and the City of Today: New Technologies and Physical Spaces (University of Chicago Press). 2016: Scott, Kristin. “New York City’s Open Data,” part of online version of Eric Gordon and Paul Mihailidis, eds., Civic Media Project (MIT Press). 2013: Scott, Kristin. “Designing Cities of the Future,” Digital America. Issue 1; Vol. 3. December 17. (Pedagogical process piece). 2007: Ghost writer of six chapters in Davis, Perrin, ed., Creating Academic & Professional Success: Course Book. Agate Publishing. 2001: Scott, Kristin. “Gateway to Virtual Science,” University of Chicago Magazine. 2016: “Media and the City,” Information, Communication & Society. 2010: Nayar, Pramod, ed. New Media and Cybercultures Reader for Wiley-Blackwell, MA. Member of The Mediated City Research Team, Architecture, Media, Politics, and Society (AMPS), an international nonprofit research organization. This team works on an ongoing set of research, event and publication initiatives aimed at building up a major resource on the city and its relationship with media and technologies. 2017: “Gov 2.0: Open Government,” IITEC Conference: TIC e Envolvimento Cidadão, Belém do Pará, Federal University of Pará, Brazil. 2015: “Smart City Seattle and the Geographies of Exclusion,” Eastern Communication Association Conference, Philadelphia, PA. *Featured speaker; paper chosen as one of top four papers submitted for 2015 conference and reviewed by the Communication and Technology Interest Group. 2014: “Open Data / Open Government? The New (Digital) Urbanism,” Cities at the Center of the World Conference, George Mason University Center for Global Studies, Arlington, VA.
2014: “Augmented Gender Identities in Massive Multiplayer Online Environments,” Gender and Masculinity Conference, Hampden-Sydney College, VA.
2014: “Seattle as a ‘Smart City’: Digital Sustainability, Race, Class and Equity,” for panel: “Who Makes a City? : Contesting and Creating Urban Space,” Cultural Studies Association Conference, Salt Lake City, Utah. 2013: “New York City: Digital Sustainability & Open (Data) Government,” for panel: “From New York to Jakarta: Digi-Transitional Urban Spaces and Materialities,” Cultural Studies Association Conference, Columbia College Chicago, Chicago, IL. 2013: Led a group of New Century College Cornerstones to Capstone committee members at the 2013 Association of American Colleges & Universities (AAC&U) summer Institute on Integrative Learning and the Departments: Faculty Leadership for the 21st Century. 2014: “Digital Urban Health & Security: NYC’s Got an App for That,” The Mediated City Conference, Los Angeles, CA. 2014:“CyberCity, USA: Re-Engineering Citizenship Through Urban Militarization and Securitization,” Crossroads 2014, Association for Cultural Studies. Tampere, Finland. 2013: “The ‘Digital City’: Urban Heterotopias.” Radical Space: The Centre for Cultural Studies Research Conference, University of East London, England. 2012: “New York City’s Road Map for the Digital City: Social Media(ted) Governance or Smartphone Surveillance?” Critiquing Culture: The Cultural Studies Graduate Conference, George Mason University, VA.
2011: “Global Positioning SYstems and the (Re)structuring of the Urban Public Sphere” for panel: “Mediating Mobilities: Cell Phones in the Public Sphere,” Cultural Studies Association Conference, Columbia College Chicago, Chicago, IL. 2010: “Technological Anaesthesia” Cultural Studies Association Conference, UC Berkeley, CA. 2010:“The Transhumanist Vision of Postgenderism and H+Media: Beyond the Gender Binary?” Gender, Bodies, and Technology Conference, Virginia Tech, Roanoke, VA.
2009: “Transhumanism and the Dollhouse: An Exploration of Imprinted Happiness and the Downloading of Consciousness,” Manufacturing Happiness: Investigating Subjectivity, Transformation, and Cultural Capital Conference, George Mason University, VA.
2009:“Cyberculture and Second Life,” Second Life at Mason, Community of Distance Educators Academy Conference, George Mason University, VA.
2009:“The Fragmentation of the Narrative Body and the Queering of Identity in Jeanette Winterson’s The Powerbook,” GLBTQ – Queer Art/Queer Action (Politics of Possibility) Conference, University of North Carolina at Asheville, NC. 2009:“Screen Life,” Unthinking Television: Visual Culture[s] Beyond the Console Conference, George Mason University, VA.
2009:“Mii, Myself, and I(dentities),” LEVEL UP: Discussions on Video Games and Socialization, George Mason University, VA. Copyright © 2019 Kris Erickson. All rights reserved.